The video above shows a person standing over a kitchen sink. He places a hard-boiled egg into a short glass and then adds enough water to the glass to cover half of the egg. 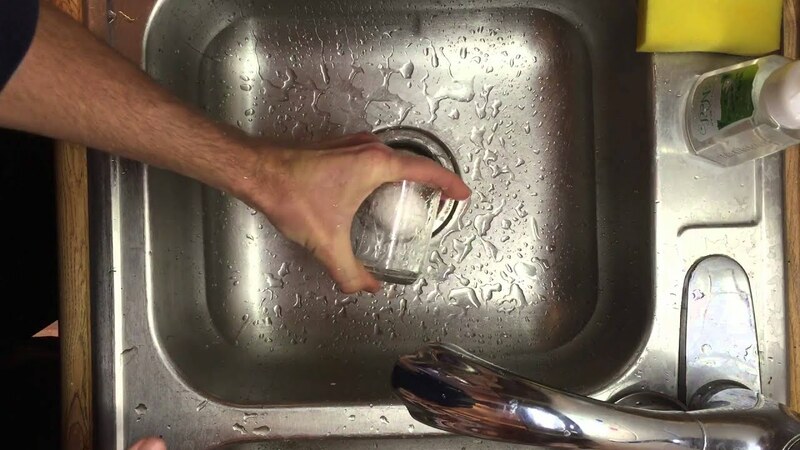 He then puts all four fingers on one hand over the open end, making a lid with his fingers, and uses his thumb to hold the bottom of the glass. He shakes the glass back and forth in his hand for around 3 seconds, then removes his fingers and pulls the egg’s shell (all in one piece) out of the glass. After viewing this video, some people have provided other suggestions for how to easily and quickly peel a hard-boiled egg, including adding baking soda to the water before bringing the eggs to a boil. It’s also been noted that chilling the eggs after boiling them will make it easier to remove the shells. We’ve featured a variety of egg peeling techniques, such as using a spoon to peel a boiled egg in seconds, using a smash-and-roll technique, and quickly peeling a dozen eggs at once.